In an effort to inspire broader collective action for gender equality, P&G co-hosted the first #SheIsEqual Summit with Global Citizen and the Association of National Advertisers’ #SeeHer movement. The event took place Sept. 28, as a part of Global Citizen Week during the 73rd Session of the UN General Assembly. 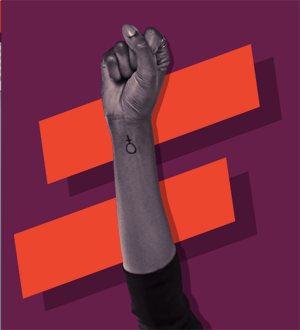 The Global Citizen #SheIsEqual logo. The #SheIsEqual Summit convened what P&G termed “the brightest minds in policy, the private sector and entertainment.” Confirmed speakers included Reese Witherspoon, Katie Couric, Jane Rosenthal, Helle Thorning Schmidt, Alma Har’el, Phumzile Mlambo-Ngucka, Sunny Hostin, Abby Wambach, Madonna Badger, Hugh Evans, Marc Pritchard and Carolyn Tastad. MILCK, Maysoon Zayid and Sulene also made special performances. “At P&G, we aspire to build a world where everyone sees equal,” said Carolyn Tastad, P&G Group President, North America, and Executive Sponsor, Gender Equality. “We know that when we do this, communities are healthier, businesses thrive, and the world is a better place for everyone. It benefits all of us, and it will take all of us, working together, to create a more equal world. As one of the co-hosts, the ANA’s #SeeHer initiative led a discussion about the importance of increasing the accurate portrayal of women and girls in the media. ANA has said that its goal is to use the power of media to increase the accurate portrayal of women and girls in ads and entertainment by 20 percent by 2020, the 100th anniversary of women gaining the right to vote in the U.S. Topics included, the current state of female representation, the importance of including the female point of view both in front of and behind the camera, and how organizations like Hello Sunshine, the Queen Collective, Katie Couric Media and Free the Bid are helping move the needle for women in the industry. In March, the ANA released its inaugural CMO “scorecard,” reporting that brand marketers may be making strong progress in achieving gender balance among CMOs, but there’s much work to do when it comes to attaining ethnic diversity. At the Cannes Lions International Festival of Creativity last summer, Pritchard was one of a number of marketers from some of the world’s largest brands who talked about personal experiences that changed their thinking about sexism and diversity. In addition to Pritchard, the marketers included AT&T’s chief brand officer Fiona Carter and Keith Weed, the chief marketing officer at Unilever. Some of their tales indicated they had specific moments when, in viewing their own campaign work, they realized that women and multicultural demographics were not being represented appropriately and that they had the power and responsibility to make change.